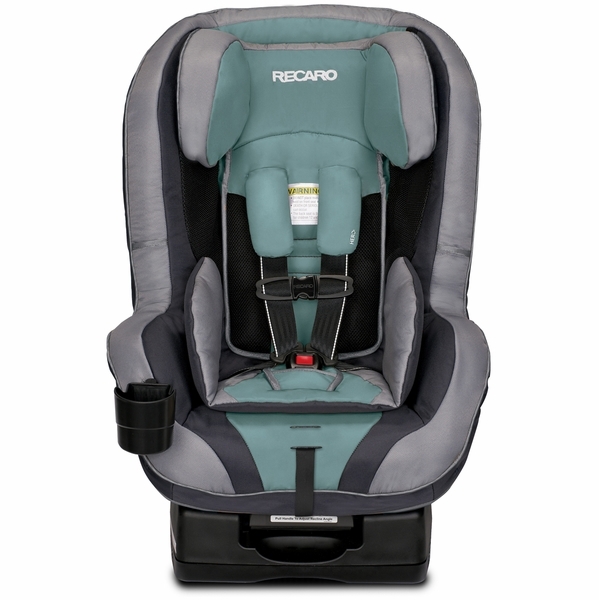 FINALLY replacing our Graco Myride 65 convertible seat with Recaro. 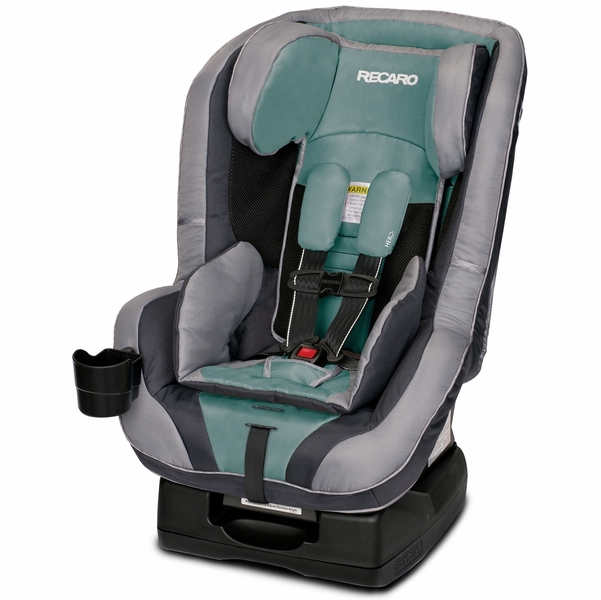 We have a couple of the Recaro Harness to Booster seats and LOVE those. Our kids love them, too. The quality and details of this convertible seat are far superior to anything I have seen. Including Britax and Maxi Cosi. Looking forward to our long trips now that our one year old has a comfortable seat! She's much happier! I absolutely love this car seat and so does my baby. I'm so happy we went with this one. 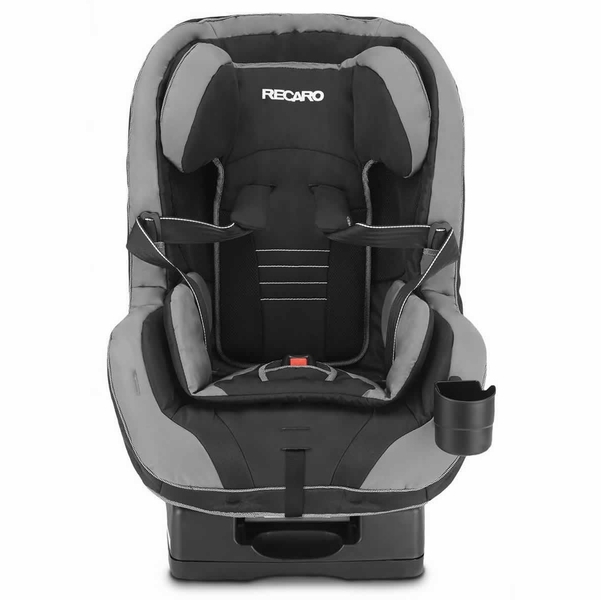 My husband and I tried a lot of different brands before this one and we highly recommend the Recaro convertible car seat. I bought one for my first 2 kids ...and it's still my favorite after 3 years...so I bought it for my last child. It's super easy to install and since its narrower than most seats...I can fit 3 across the backseat of my SUV! ConsA bit tall/heavy but not unmanageable by any means. Better than Britax, the foot print of the seat has a large foundation making it more stable with less pressure. The straps and lighten weight easier to manuver. The material is a great combination of plush, cleanable, and wear resistant. ConsSlightly larger upper portion in the rear facing. If tall passengers in the front seat something to consider. Great convertible car seat. 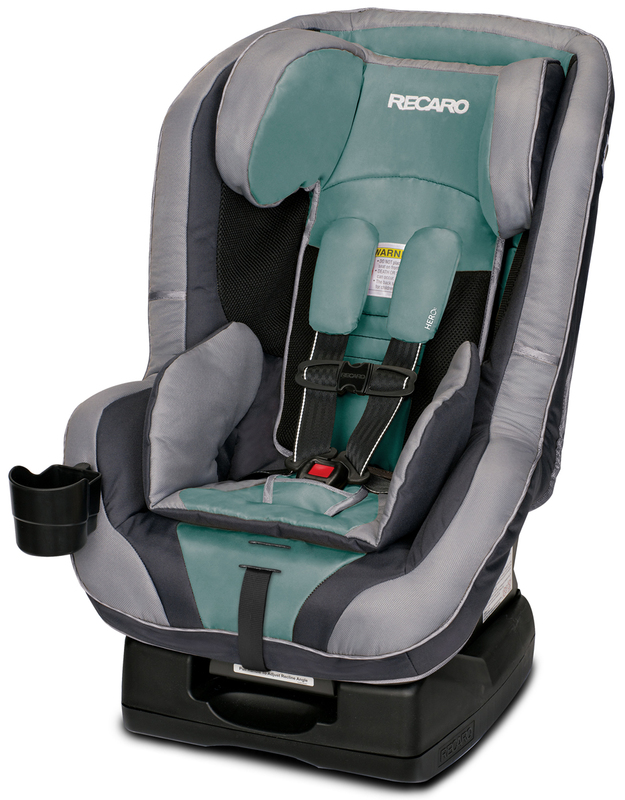 Recaro is the best for safety & comfort. Bought this in the pink color for my daughter! We absolutely love it! Comfortable and it goes well in our smaller vehicle! I bought this about 3 months ago, my son was 4.5 months old. He was to heavy that I didn't want to carry around the infant car seat, which was also Recaro. He loves it, and we love it. Super easy to install takes less then a minute. Be aware thought this is a large car seat. Makes sure you have a big backseat. I have a SUV, it fits but I have to move the seat in front up a little. I'm sure it's only because he is still rear facing. Love the two cup holders and that it is both rear and front facing. I also love that I don't have to worry about his safety. 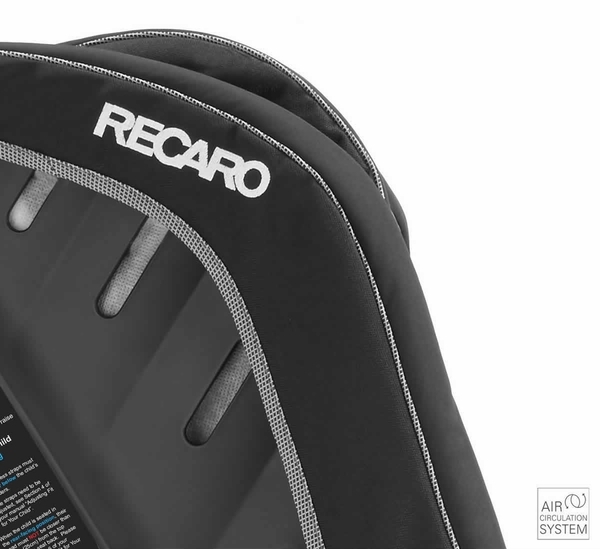 We absolutely love our recaro seats. We now have 4 and won't buy or recommend anything else. The kids find them comfortable and don't seem to get hot even in the Florida sun. They like sitting up a little higher so they can see out of the window as well. The seats are heavy but it makes it seem safer to me plus we don't often move them between cars so isn't an issue. From the ease of installation, the backing of the Recaro race seat technology giving me reassurance of my child's safety, the comfort of the memory foam, the mesh material for ventilation, easy adjustability as they grow, and the option of pink makes this a no brainer for my little Princess! We bought this after searching for a very long time. I love that it is convertible, that it has plastic buckles to keep from getting hot, and the memory foam. My kiddo loves being in her seat! 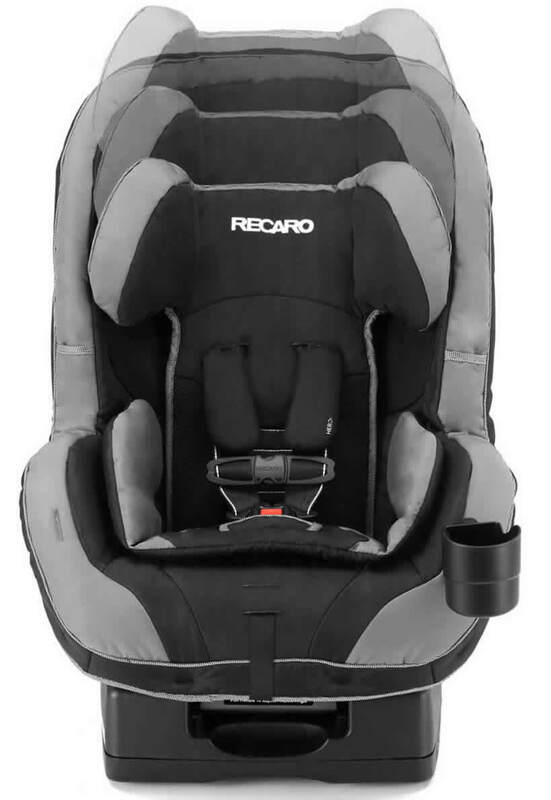 After tons of research and already knowing what Recaro is known for, there was no question what car seat I wanted for my daughter. Its solid, has great safety features, and she is extremely comfortable. Install was a breeze on the outer rear seats, a little more challenging in the center rear seat but worth the effort. 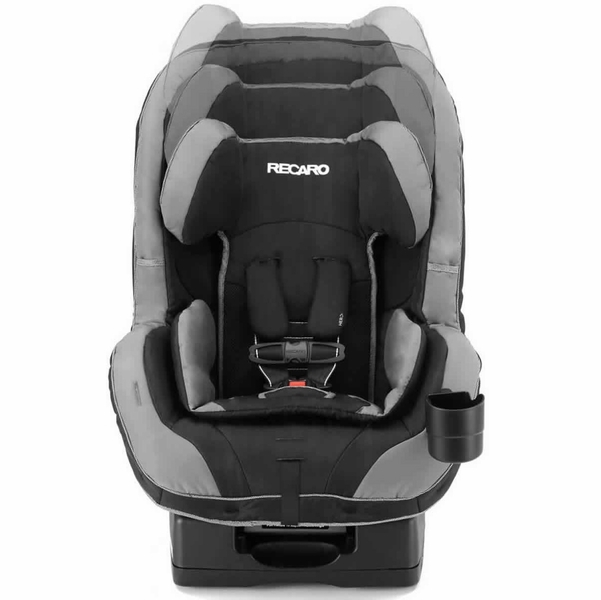 After months and months of trying to find the safest most comfortable seat I could, I finally came across Recaro. I could not be more happy I chose this brand to keep my daughter safe. 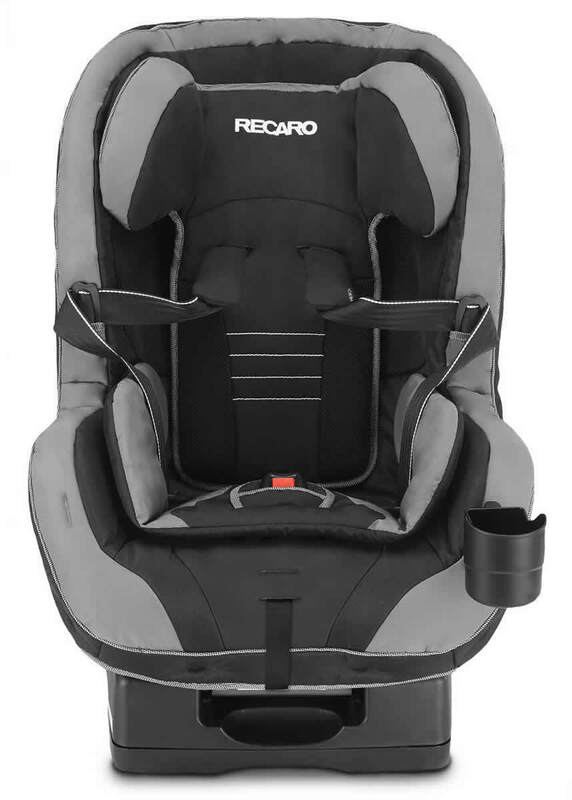 We have the recaro roadster in redd. Not only does the seat look great, but it's so easy to use. My daughter is very comfortable in it as well. I love that the buckles do not get hot and that she doesn't sweat hardly at all while sitting in the seat. The best part is how secure the seat is and that it will grow with her!. When properly installed and straps properly tightened I know she's safe. I feel very comfortable taking my daughter on road trips thanks to this seat. Thank you recaro!! This car seat has a sturdy feel and seems to be of great quality! The narrow profile makes it a great choice for 3 across seating! We hope to get another soon! I purchased this for my little guy when he turned 1. This car seat sits high enough for the little ones to be able to see out of the car and the cup holder is great! The only down side is that the fabric is not machine washable. It's the best!! This is the second Recaro seat for me because it's very very safe. A little big but that just means safety overall. ProsVery nice, cushy and secure. To me, it isn't comparable to other brand because it's top of the line. Best UsesI only use it with forward facing and I love the fact that I can recline in this position and my child can rest comfortably in the seat to sleep. I just ordered the Roadster for my 10 month old. She's coming out of an Infant Coupe. 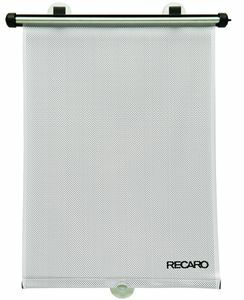 We will forever be a RECARO family! I can't wait to get it in and see how she likes her new big girl seat! Roadster’s structure features energy management technology that has been rigorously tested to meet and exceed industry standards. HERO ensures the highest level of protection and comfort by positioning the shoulder pads to appropriately fit the child's neck, head and shoulders. 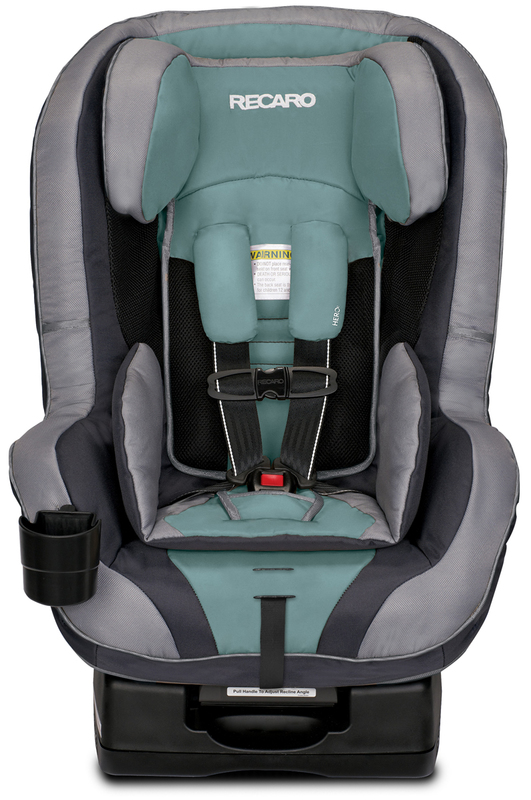 A rear-facing recline for improved comfort and precise installation, and an EasyAdjust no re-thread 5-point harness and headrest for optimal comfort as your child grows. Designed with a premium push-button, built-in LATCH system, the Roadster is easy to secure to your vehicle. 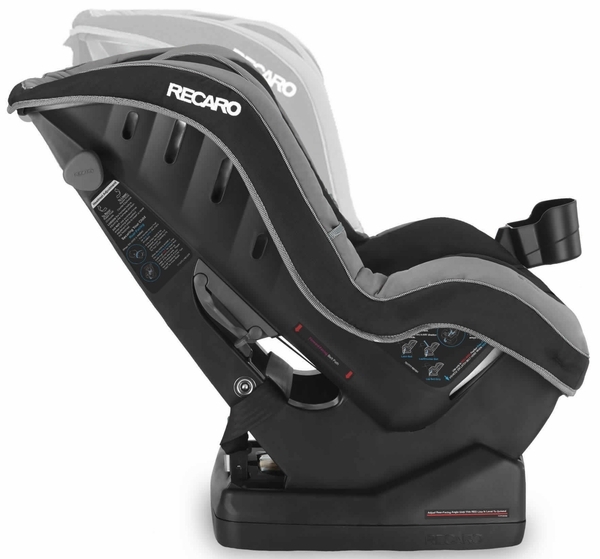 Recaro looks closely at a child’s protection needs at all levels of crash severity and created the state-of-the-art Roadster. Its strategic combination of protective materials and padding maintain their structure and absorb impact energy throughout extreme crash scenarios. Energy management technology is engineered into the shell and offers a world class crash protection system that is designed to protect children during high impact crashes and reduce forces transferred to the child. Its Racing-Inspired safety features are tested to international standards and also include full body Side Impact Protection with enhanced side wings to shield the head and face, a PUR foam headrest that limits neck movement, and reinforcements at the sides, hips and thighs to help stabilize the torso and pelvis. Ergonomic Expertise: Your child will arrive to your destination revitalized and relaxed after a trip in the Roadster. Its ergonomically shaped seat is designed to provide optimum comfort while protecting and supporting the fragile body of growing children. Strong Side Impact Structure: Ingeniously designed, the Roadster’s structure features energy management technology that has been rigorously tested to meet and exceed industry standards. Its distinctive racing-inspired protective structure, with deep side wings embrace, shield and stabilize a child during a side impact crash. Premium Materials: A combination of premium materials and protective padding maintain their structure and absorb impact energy during extreme crash scenarios. Refined high density plastics, strong metals, premium buckles and belts and high density cushions provide additional support with maximum comfort. 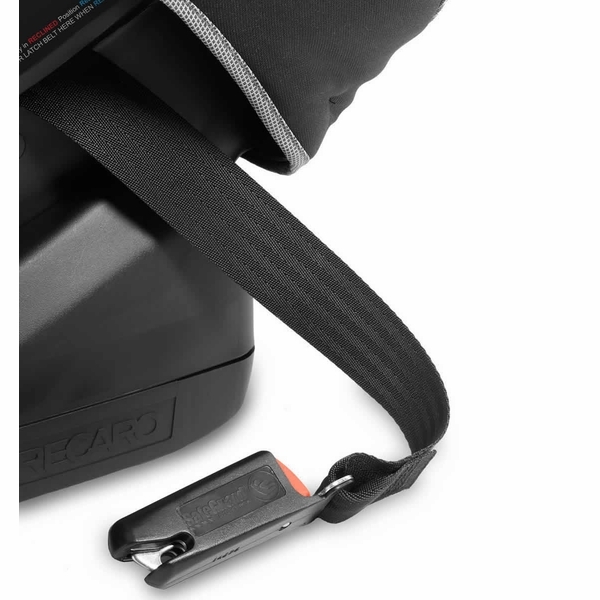 HERO Harness Technology: HERO is a patented, innovative safety feature by RECARO. HERO ensures the highest level of protection and comfort by positioning the shoulder pads to appropriately fit the child's neck, head and shoulders. It provides superior comfort and resists harness twisting while ensuring proper chest clip positioning. Safety Stripe System: A Racing-Inspired white stripe that is clearly visible on the outside edge of the 5-point harness. This stripe is designed as an easy alert to parents that a twist could occur, or has begun, thus preventing a safety hazard. The Roadster offers best in class comfort features. The Cloud Comfort Memory Foam contours to your child's shape and, combined with the ergonomic shell structure and removable cushion insert, allows extra comfort for short errands or long road trips. The Roadster also has improved airflow with the Dual Air Flow Comfort System. It combines CoolMesh fabric, which provides superior breathability, and Built-In Shell Vents for an improved air circulation system to keep your child cool and comfortable during the ride. For no-fuss care and maintenance, the Roadster car seat comes in a variety of easy-to-clean fabrics and colors. The PUR foam headrest and soft HERO Harness Pads provide extra comfort as well as protection. The EasyAdjust five-point harness can be customized to properly accommodate your growing child and allow for a quick and precise fit. The harness and headrest simultaneously adjust with a simple turn of a knob and without the hassle of re-threading any straps. TrueLock belt lock-offs prevent any slippage from your vehicle's seat belt when used forward-facing and make installation a breeze. Designed with a premium push-button, built-in LATCH system, the Roadster is easy to secure to your vehicle. The universal Top Tether system and LATCH connectors also have built-in convenient storage options for when they are not in use. The rear-facing recline allows for a more precise installation and increased comfort. 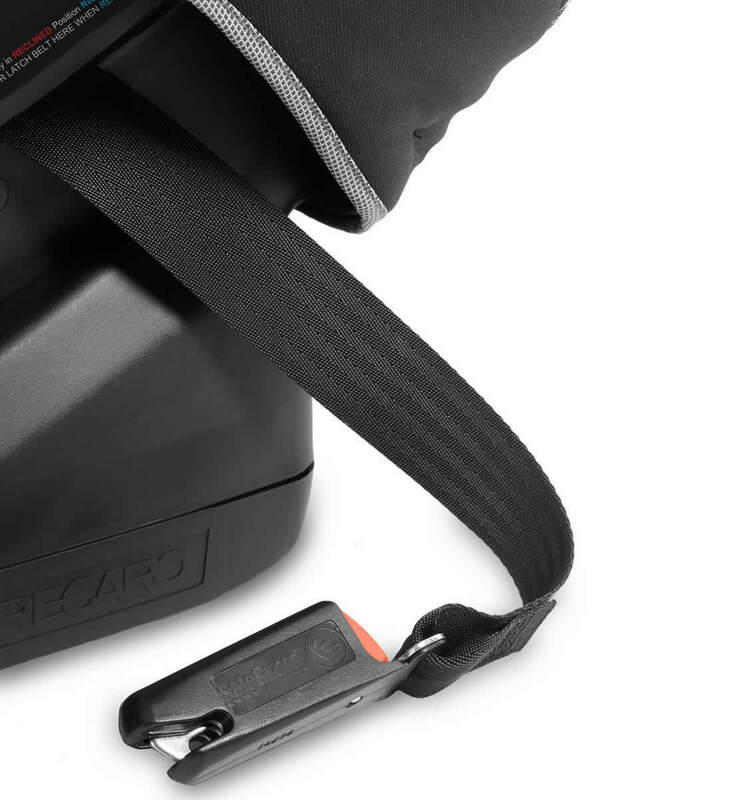 The car seat also offers chest-clip storage pockets to keep the loose ends of harness belts tucked neatly out of the way when you are placing your child in the seat. The Roadster also comes with a removable cup holder that can be secured on either side of the car seat.